With the London 2012 Olympic and Paralympic Games almost upon us, it is important that you have the best view in town other than actually being there. So whether you are looking for an HQ to base yourselves, entertain corporate clients for drinks and dinner, or a party of any size, the team at Beaufort House can help. To reserve your exclusive event call us now on 020 7352 2828 or email info@beauforthousechelsea.com. Conveniently located in the heart of Chelsea on the fashionable Kings Road, we offer a stylish and relaxed setting for those looking for the perfect place to enjoy the London Olympics 2012. Beaufort House Chelsea is well known for its immaculate service and first class catering, housed in a historic period building it is the perfect venue for your hospitality during London 2012. 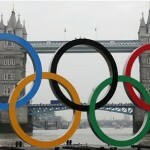 If you are looking for a fast VIP transfer to the games then look no further than PVI’s ultimate Olympic River Transfer. They are providing safe and secure transportation via RIB speedboats from a choice of docking points along the Thames. Your exclusive close protection speedboat can accommodate up to 11 people and is sure to beat the inevitable gridlock on the roads and railway systems across London. For more details email steve.hands@protection-services.com. Still not secured your accommodation for the Olympics, then why not book out a fabulous houseboat on the river in Chelsea with amazing views along the Thames in both directions. A prime London location with beautiful views both day and night, this two-bedroomed boat is modern, spacious, and extremely well-equipped. It has been recently constructed to a very high standard, with wooden floors throughout, under-floor heating, state-of-the-art insulation and double-glazing…..an oasis in the heart of London. For more information click HERE or contact marcus@marcusdeller.com. 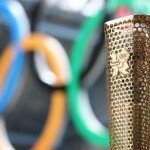 The Olympic Torch is also finally arriving in London next week and will be travelling along the King’s Road going right past Beaufort House Chelsea on Thursday 26 July. The Olympic Torch will start from Chelsea Bridge Road, by Chelsea Embankment, at 1:20 pm and is due to pass Beaufort House around 1.45pm. Look forward to seeing you all waving your flags and why not have a glass of Champagne or 2 to celebrate while you are here!